The Dunlop MSA British Touring Car Championship’s North American TV partner – CBS Sports Network – has scheduled its premiere showings of each and every round of the 2016 season. The series announced its largest ever television deal in North America in 2015, agreeing a multi-year contract which sees all the action broadcast on the giant CBS Sports Network (CBSSN) to more than 60 million households across the US and Canada. A one-hour BTCC highlights programme will be screened on CBSSN in a prime time (Eastern Time) slot – ten days after each event – and will then re-air during prime time (Pacific Time) soon after. BTCC coverage will make up a major part of CBSSN’s Thursday night ‘Motorsport Night’ – with the majority of highlights shows airing at 7pm (ET) – ensuring that the championship will capture the imagination of motor sport fans across North America. The huge CBS Sports Network televises nearly 600 live events and over 3,000 hours of live programming every year. 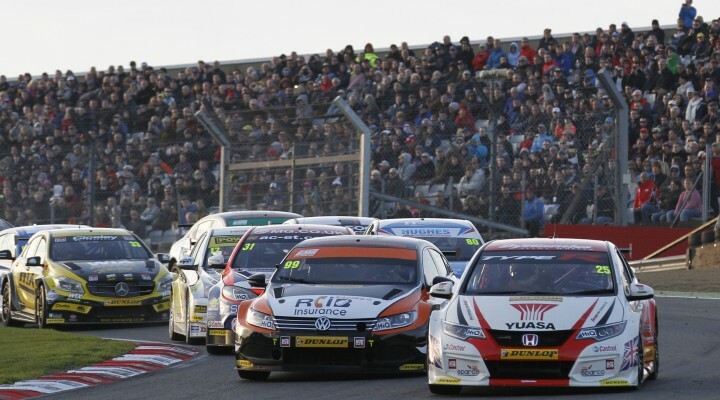 Furthermore, www.Torque.TV – North America’s home for motor sport and high performance automotive lifestyle – will also carry one-hour BTCC highlights programmes for 90 days after each event via its VOD (Video On Demand) platform.